“The last thing that springs to mind when someone mentions the dewy rolling hills and tranquil pastures of Ireland, is Bud Light. 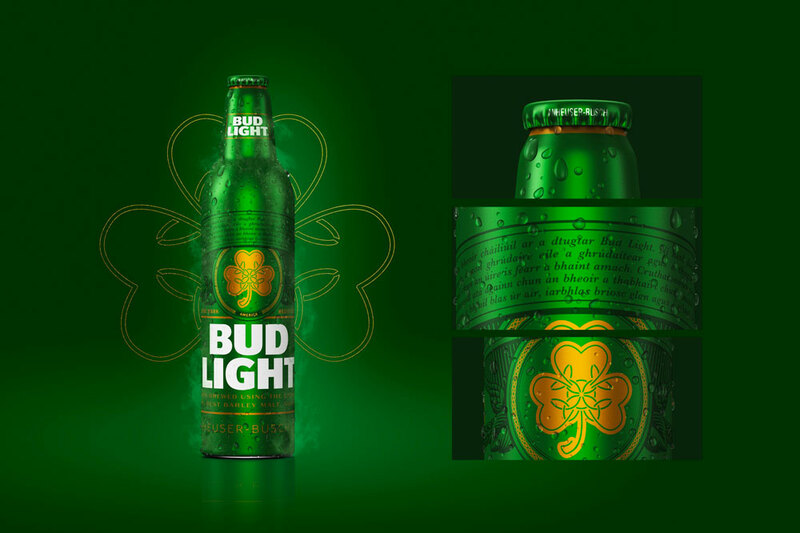 But this St. Patrick’s Day, the light beer brand is determined to take things seriously, with a bottle inspired by Ireland’s rich history and traditions. Design advertisement created by FCB, United States for Bud Light, within the category: Alcoholic Drinks.